LASIK eye surgery at the Charleston, SC practice of Dr. Kerry Solomon looks much different than it did even a few years ago. With today’s advanced laser technologies – many of which Dr. Solomon was the first in the state to use – he can create results that are unparalleled in their safety and precision, giving the gift of crystal-clear vision to more patients than ever before. We’re looking forward to getting to know you and learning how to effectively meet your needs with our advanced approach to LASIK in North Charleston, Mt. Pleasant, Summerville, and West Ashley, SC. Request an appointment with our simple-to-use online form, or call our office at 843-620-2020 to speak directly with a helpful member of our staff. Dr. Solomon was the first surgeon in the U.S. to perform topography-guided LASIK after its FDA approval. The procedure has recently been made commercially available, and Dr. Solomon is the only ophthalmologist in the area with the training and technology to perform this remarkable advancement in LASIK surgery. Topo-guided LASIK, branded as Contoura™ Vision, has produced some of the best visual outcomes ever reported, with reduced incidence of the night vision symptoms sometimes associated with traditional LASIK, such as halos and glare. The key to the success of this procedure is the superior precision of the Topolyzer Vario diagnostic equipment. It provides data which enables Dr. Solomon to customize the laser reshaping of the cornea to a higher degree than ever before possible. The vast majority of patients will have vision that is better than they could ever attain with corrective lenses. Before you undergo LASIK, it’s important to understand that this popular surgery comes in several different forms. Dr. Solomon offers a completely bladeless alternative to traditional forms of LASIK for highly enhanced precision. 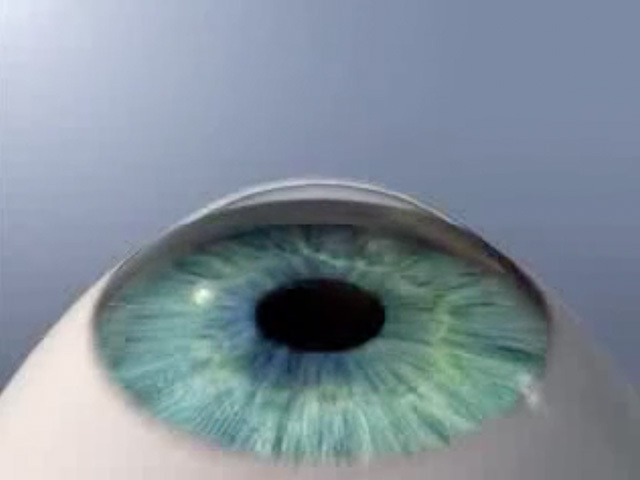 LASIK eye surgery is performed in 2 steps. First, Dr. Solomon creates a protective flap on the surface of the cornea using a computer-guided cool beam laser instead of a blade. All-laser technology makes this procedure even more comfortable and precise than its predecessors, giving Dr. Solomon’s patients the exceptional experience they deserve. In fact, this approach is so reliable that it’s approved by both the military and NASA for use on pilots and astronauts. This technology allows Dr. Solomon to fully customize your surgery down to the micron for incredible accuracy and unprecedented results. This increased level of precision makes LASIK accessible to patients who may have previously been ineligible. Learn more about how this technology works in the quick video below. After using a laser to make the initial flap (which takes mere seconds), Dr. Solomon uses a second laser to reshape the cornea according to a highly detailed map of your eye created before the procedure. Created using either the Topolyzer Vario or wavefront technology, this optical map produces results that are significantly more precise than those that come from glasses and contacts. Once the map has been created, it’s electronically transferred to the laser for precise guidance during your surgery.